Sometimes there’s just something about a city that makes you fall in love with it. 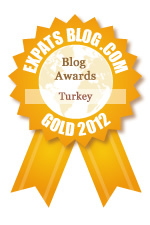 This was the case with Lviv! I loved walking around this Ukrainian city and seeing its faded beauty in the historic buildings dating from the 1700s-early 1900s. I wanted to take pictures of all the interesting architectural elements – doorways, windows and rooftops. I was enchanted! And I did take tons of photos – 500 in fact! However, I finally narrowed the number down to about 350, so thought I simply share some more photos from Lviv. 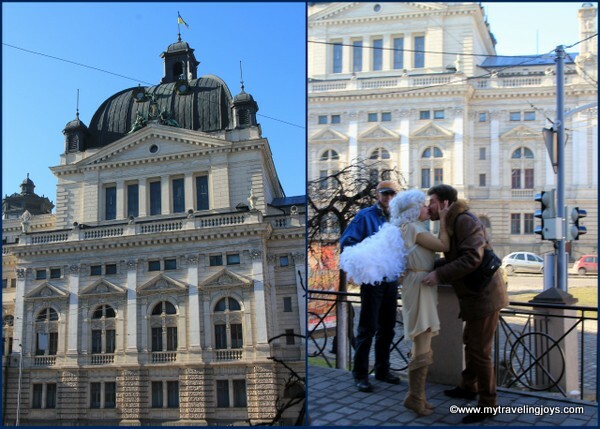 Again, hopefully my photos will inspire you to travel to Lviv and enjoy it as much as we did! We watched so many people try and climb on top of this horse in front of Atlas Café, located on a corner in the Market Square. At the 15th-century-arcaded gallery at the Armenian Cathedral, you’ll find the remains of an ancient Armenian cemetery with gravestones dating back 600 years. 20th-century mosaics inside the Armenian Cathedral in Lviv. 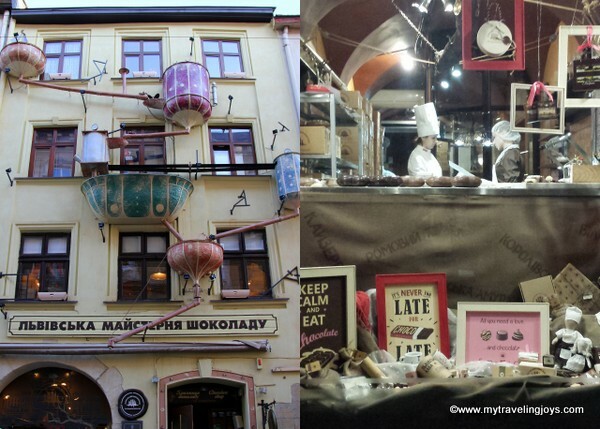 A chocolate factory/shop in Lviv. The Citadel Inn, located in Fort II, was built by the Austrian government in 1850-1856 to defend the eastern ways to the Lviv Citadel. Today, the citadel features a boutique hotel and restaurant and offers great views over the city. Unfortunately, it was cloudy on the day we visited. 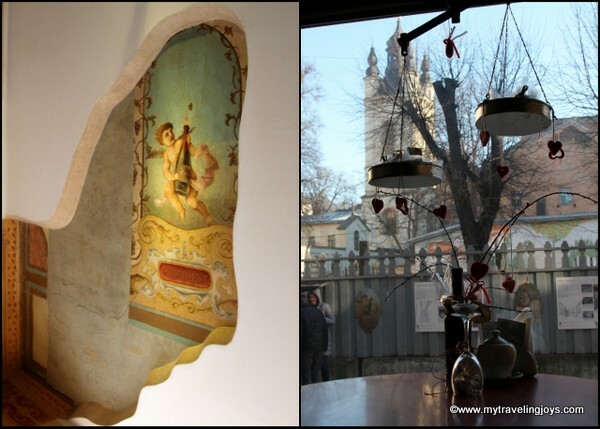 Inside one of the cozy cafes in Lviv. One of the thousands of lions you'll find in Lviv. Hazy view of the Market Square. This photo was taken on Valentine's Day near the Opera building. The medieval defense walls of Old Lviv. Looking out from the Town Hall over the rooftops in Lviv. Just one of the many pretty buildings in Lviv. what a special town. i would love it there too! 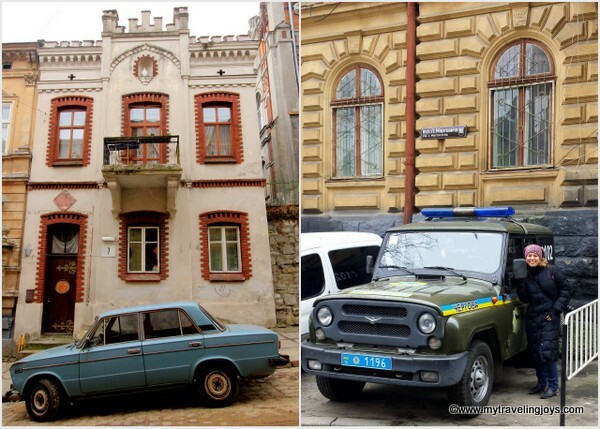 Great pictures....of Lviv. I would love to visit sometime as my background is Ukrainian...but was born in Toronto and have never been. Hi Irene! Good to hear from you. I highly recommend exploring Ukraine someday especially since you have a connection to it. Lovely people and architecture!